It’s a #NewDay. Started my morning with a brisk run to the gym and now rewarding myself with a delicious breakfast. My watch is set on East Coast time, but I’m mind is set on West Coast time; still got errands run and meetings to schedule. Have a great day everyone! 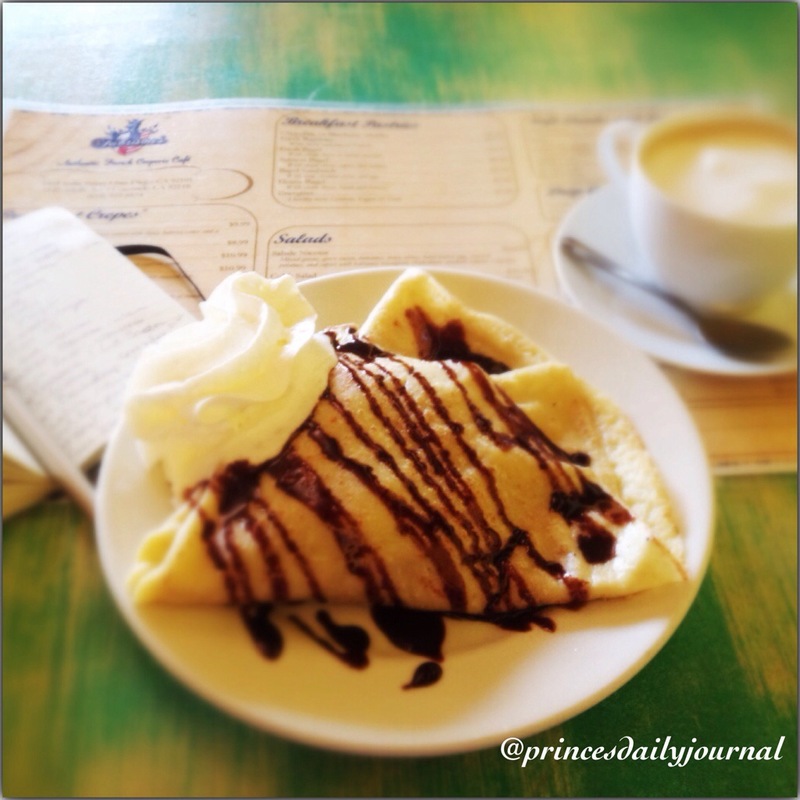 #whatsprinceeating: “Fruit Crepe–stuffed with strawberries and topped with whipped cream and chocolate syrup; and paired with a cappuccino” This happens to be my usual spot for breakfast in Cali. Thanks Fabrice!